Cancer is crafty. To survive and thrive, tumors find a way of thwarting our body's natural systems. By looking at these systems, researchers at the University of Michigan Rogel Cancer Center have discovered that tumor cells reprogram metabolic pathways to gain control over a type of immune cell that allows cancer growth. Myeloid-derived suppressor cells live in the tumor microenvironment and work to block cancer immunity. They also encourage a stem cell-like growth that's linked to more aggressive cancer. Patients with a lot of these suppressor cells typically have worse outcomes. Essentially, their immune system isn't strong enough to fight against the tumor. Further, when there are a large number of myeloid-derived suppressor cells, immunotherapy treatments tend to be ineffective because the immune T-cells are suppressed. By looking at triple-negative breast cancer cells, researchers found that the metabolic process by which cells break down glucose also regulates the expression of a specific isoform of C/EBP-beta that in turn causes more suppressor cells to develop. The immune system can't mount enough of an assault on the tumor cells, which translates to poor outcomes in triple-negative breast cancer patients. "We don't have many treatment options for triple-negative breast cancer. One of the immunological reasons may be that these tumors have a large number of myeloid suppressor cells. This could be an issue. We hope that by understanding the biology better, it may lead to new ways to help these patients," says Weiping Zou, M.D., Ph.D., the Charles B. de Nancrede Professor of Surgery, Pathology, Immunology and Biology at the University of Michigan. Essentially, it's a cascade: The process glycolysis initiates things. It targets a molecular mechanism called LAP, a specific isoform of C/EBP-beta, which then controls expression of G-CSF and GM-CSF, small proteins made by tumor cells, which support myeloid suppressor cells and result in immunosuppression. 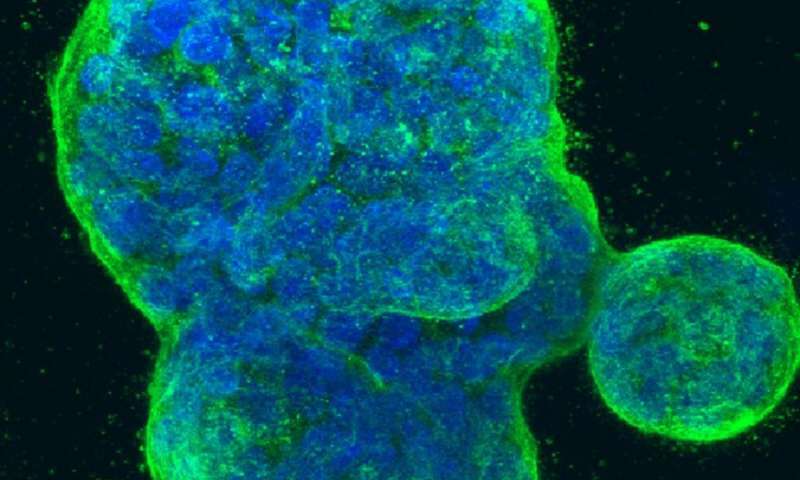 Researchers examined this relationship in triple-negative breast cancer cell lines and in mouse models. They then looked at patient tumor samples to assess how the metabolic pathway, the number of suppressor cells and immune signatures linked with patient survival. Looking at samples from 250 triple-negative breast cancer patients, they found that when the metabolic pathway for glycolysis was enriched, so were the immune suppressor cells—and this linked with worse overall survival. In contrast, tumors with a high T-cell signature exhibited fewer of these suppressor cells and the patients had better outcomes.